The Tamarack Club is Holiday Valley's newest four star slopeside condominium/hotel. Four star amenities include underground parking, ski and golf club storage, a heated indoor/outdoor year 'round pool, two outdoor hot tubs, spa, fitness center, conference rooms, wifi, a restaurant and much more. The Tamarack Club construction was completed in December, 2009. 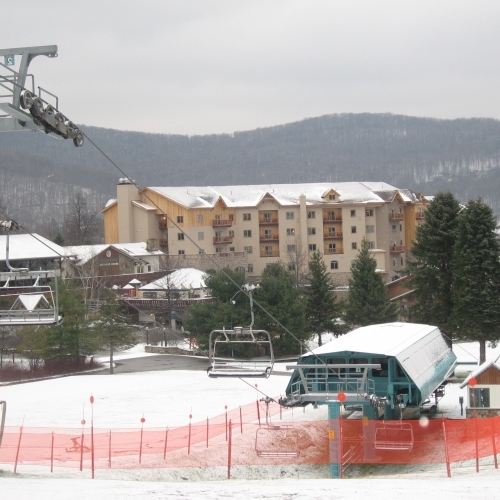 Holiday Valley launched the sales campaign to develop their largest single project in their 50 year history, The Tamarack Club, on December 1, 2007. 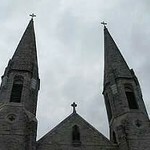 Construction has continued and was completed in December 2009. Purchasers may select one-fifth share fractional ownership, meaning they will be able to use their unit once every five weeks. Tamarack owners may join RCI international exchange. The Tamarack Club slopeside condominium units range from 465 sq ft studios to 1,800 sq ft Executive Suites. The majority of the inventory are one and two bedroom “lockout” configurations. The interiors are professionally designed and fully furnished with full kitchens fitted with high end finishes. These vacation properties are offered as either traditional whole ownership or as fractional interests, for purchasers who may not frequent the resort as often. Prices on fractionals start in the mid $60’s and are truly cost effective…especially for those families that would only rent 7-10 nights per year in the Ellicottville region. The many amenities and owner benefits associated offer a unique vacation experience for those who don’t have the time to maintain a conventional vacation home. The Tamarack Club Sales Showroom is in the Tamarack Club, lobby level. An excellent selection of units is still available. The Showroom is open seven days a week and information is available by calling 716-699-3500 or viewing online at www.tamarackclub.com. The facility sets a new standard for luxury and service and the slopeside location is the most desirable in the entire region.